Carolyn Seale, a resident of Cleveland, Tennessee, has worked with Denso Manufacturing in Athens as a manager since 2001. Carolyn Seale has studied productivity theory extensively, and uses Kaizen and standardized work in her work with Denso, a Tier 1 automotive supplier. 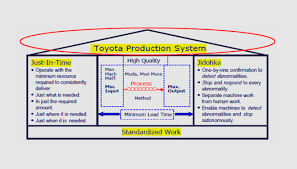 Standardized work can help maintain the improvements made by process changes implemented through approaches like Kaizen and Total Process Management. Under standardized work, business leadership establishes precise procedures for every individual's work in a process, and makes those procedures available to employees at their workstations. Standardized work reduces variability in processes, making it easier for workers to cooperate with others. Unusual circumstances such as absences or illnesses present fewer difficulties under standardized work principles, as each individual who fills a particular role in a process should provide comparable, similar work. Under standardized work, three elements are assessed: Takt time, which is how fast products must be produced to meet demand, the work sequence that leads to that production, and the inventory required to keep that process operating. While standardized work occurs under lean principles, companies should not slash inventory without cause. Process improvements should come first, and cutting inventory to necessary levels should follow from those improved processes. A longtime resident of greater Cleveland, Tennessee, Carolyn Seale has a wealth of experience in the fields of industrial engineering and manufacturing oversight. For the past 17 years, Carolyn Seale has served as a manager with Denso Manufacturing in Athens, Tennessee, a Tier 1 supplier to the automotive industry. The term “tier 1 supplier” can be applied to any manufacturer who distributes products directly to a company with no intervention from sales middlemen or additional manufacturers. 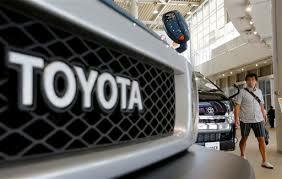 In the automotive industry, however, the term takes on a more significant meaning. Certain components in automotive production must meet ISO/TS16949 Quality Standards that ensure their operational effectiveness. This means that these components must be made and delivered under stringent process controls that cannot involve outside companies or third-party entities. Identification as a Tier 1 supplier designates high levels of both credibility and professionalism. Major automotive companies rely on these suppliers to handle all aspects of component creation for specific vehicles. Based in Cleveland, Tennessee, Carolyn Seale has worked at Denso Manufacturing for the past 17 years. In her management position, Carolyn Seale leverages the Toyota Production System (TPS) to boost efficiency in her team. An amalgamation of Toyota’s management processes and a philosophy of waste reduction, TPS is a foundation from which automobile manufacturers can improve their logistics and production operations. The history of TPS dates back more than 100 years when Ford Motor Company founder Henry Ford developed what was known as “flow production.” This revolutionary process allowed the Ford company to expedite its production time by using “special-purpose” equipment for vehicle component manufacturing. 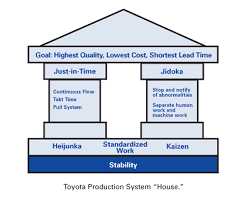 Over the course of nearly three decades, Toyoda and Ohno worked on their process, making numerous changes to boost its efficiency. The finalized TPS system involved the use of self-monitoring machinery that compensated for precise volumes of product and utilized the most efficient production sequence. As a result, TPS reduced the cost of production while greatly improving the quality of the manufactured parts.